Stocks make the world go round. They are a very good way to ensure that you can get enough income – without actually doing much except investing. It’s like raising a baby; it will cost you at first, but that baby will eventually grow up and help you out as well. However, many people have difficulties in choosing the best dividend stocks to buy now. The market is continuously changing, so you cannot know for sure what will happen with your investment. However, you can do something to increase your odds. By choosing the right dividend stocks, you can allow your profits to grow – and eventually, reap the benefits that your investment has brought you. ​Of course there is no one and only dividend strategy valid for every potential investor. But what they all have in common is the methods of generating income by dividends. What are the best dividend stocks? How much do they return every month? Find out by reading this article. How To Research the Best Dividend Stocks To Buy Now? ​Choosing the best dividend stocks is certainly not easy to do. You need to ensure that you placed your investment on a strong name that won’t bring you stock price depreciation, dividend elimination, and dividend cuts. As a result, here are some factors that you should look for in dividend stocks to buy this year. ​First and foremost, when considering the purchase of dividend stocks, you need to make sure that consistent profits are present as well. If the company does not bring profits on a steady basis, then it is one that you want to steer clear of. Look for companies that have earning growth expectations of 5%-15% on the long term. While it might be tempting, you should avoid going for companies that have above 15% growth expectations. These are prone to earnings disappointments, which will cut away from the stock price. ​Dividend stocks from companies in debt are certainly cheaper compared to the ones that are not. However, they also pose a greater risk. Debt can prevent a company from gaining any more profits, mainly because there would always be holes that need to be fixed. The debt situation of a company may be determined by checking the company’s debt-to-equity ratio. Ideally, you might want to choose a company that has a ratio below 1.00 – and avoid the ones going over 2.00. If the company is in debt, it is likely they will want to pay it off to save their investment. In that case, the cash that was supposed to go into your dividends will go into the deleveraging – which is obviously not profitable for you. ​This is a factor that is often overlooked, as many people choose to check the history of the company instead of the health of the industry. However, you might want to leave the past, and look at the present so that you can get an idea of the future. Take, for instance, the industry of soft drinks. In the past, they were all the rage – and everyone was buying them, mainly because they were considered the fanciest and most popular drinks to get. Nowadays, however, health-conscious consumers are on the rise – which means that soda is being replaced with healthy, non-carbonated sugar-free drinks. Therefore, the soft drink industry may have a healthy past – but things have changed a lot in the meantime. So, is investing in dividend stocks a good idea? Yes, it is – but only if you choose the industry right. 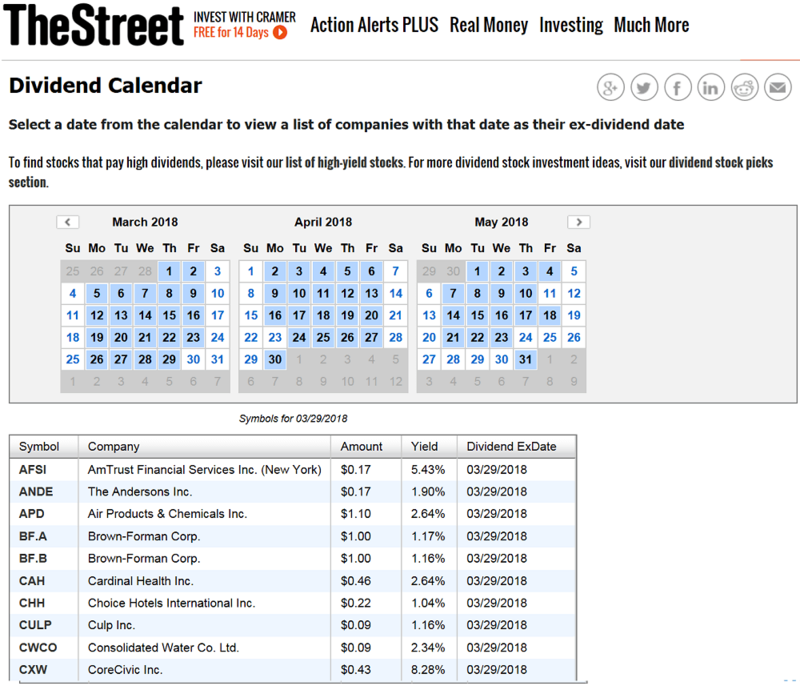 ​There is a plethora of ways to trade or invest using dividend stocks. Since not every stock or every company pays dividends, there are some restrictions about the investment strategies applied. ​Many successful investors manage to generate significant income, with most of it coming out of dividends. Since the 401k supports and rewards strategies more or less built on dividends, ​investors put their savings into dividend stocks, considering these a reliable part of their retirement plan. The basic idea is to choose a reasonable amount of stocks that pay dividends to the owner regularly. Most common periods of time are annual, semi-annual ​or quarterly, with a few companies paying monthly dividends. Thus shareholders participate directly in the company‘s revenue, with additional income out of just holding the shares. And this is the main attraction of dividend stocks – once chosen, they generate income. No need to trade, no need to do anything at all. Of course this doesn’t imply that dividend strategies are something like the holy grail, a kind of money making mechanism that works while the owner can relax in the sun. Nevertheless the ease of generating income using dividends is very attractive. While other strategies often enough carry hidden risks, resulting in substantial losses, dividend strategies thrive or fail depending on the choice of stocks. And yes, there are methods to tell the good ones from the bad ones. ​The two crucial factors about dividends are the actual dividend yield (calculated on an annual basis) and the consistency of the yield and the dividends themselves. Needless to say only stocks that pay consistent dividends are suitable for a solid long-term strategy. Now it should be noticed that dividend stocks and the related investment strategies are valuable for long-term investors. They are useless for daytraders scalping the market for a few pips. Dividend stocks can be compared to cruise ships, as opposed to the speedboats of day trading. Usually dividend strategies work along the lines of buy-and-hold. ​The ex dividend date is the very latest day on which the owner must own the share in his portfolio to be entitled to the upcoming dividend. All subsequent purchases of the share will not be taken into account at the next due distribution date. With the distribution passed, the price of the stock will be lowered about the amount of the dividend paid. However, this is not a loss, since the owner is being paid the full dividend and the price of the share is just being adjusted, often enough even to increase again very soon. Dividends make up around 40% of the revenue in mixed stocks altogether - regarding the performance index of the S&P 500. ​Calculating exclusive and inclusive dividend payments – and presuming that those are reinvested – there is a considerable edge in concentrating on frequent dividend collection. So that leads immediately to the following question. Are dividend stocks superior to other strategies in the long-term view? ​To begin with, every stock is meant to increase in value over the time of the investment. Thus there are plenty of highly valuable stocks that actually don‘t pay any dividend. Dividends consist of the revenue a company has made that is partially distributed to the shareholders at the end of the designated period. Of course, non-dividend companies are generating revenue as well, they simply add it to the value of the shares. And yet, dividends have the advantage it is easier to live off the regular payments than to sell a bundle of stocks every once in a while. This distinguishes the investor from the trader. A dividend investor is less concerned with market timing, prefering to focus on buy-and-hold. While there is no guarantee on consistently paid dividends, this risk may be tackled by choosing stocks reasonably diversified regarding companies, sectors and regions. Besides, reinvesting dividends will accumulate interest, another advantage in the long run. ​Arguably the accumulated revenue of non-dividend stocks, too, ultimately generates payoff. That‘s quite correct. But historical comparison of those two strategies (Referring to the S&P 500 Index, comparing average stock prices to the dividend yield on an annual basis since 1999) shows that the consistency of the dividend yield is much more stable than the actual price of the stock. This makes the long-term revenue much more stable than just relying on buy-and-sell prices – but here, of course, it boils down to individual preferences: to each his own. ​Many companies yield 5% dividend stocks – and some of them can even go as high as 5%, depending on the success of the company. However, the percentage of the dividend stock is not the only one that matters. For instance, you may have a high percentage – but if the industry health is going down, or if the company’s success went high too fast, it might foretell a “boom” that will go down just as fast as it went up. You will have to ensure that all progress was gradual. Having said that, there are various types of high dividend stocks that you could go for – each of them with their own risks and benefits. ​As with every investment strategy, picking the right assets is crucial. Analyzing some basic values to the paper can help separate the best ones from the rest. ​MMLP (Martin Midstream Partners L.P.
* Dividend consistency means that either the dividend yield stays more or less the same for a given period, or even increases. 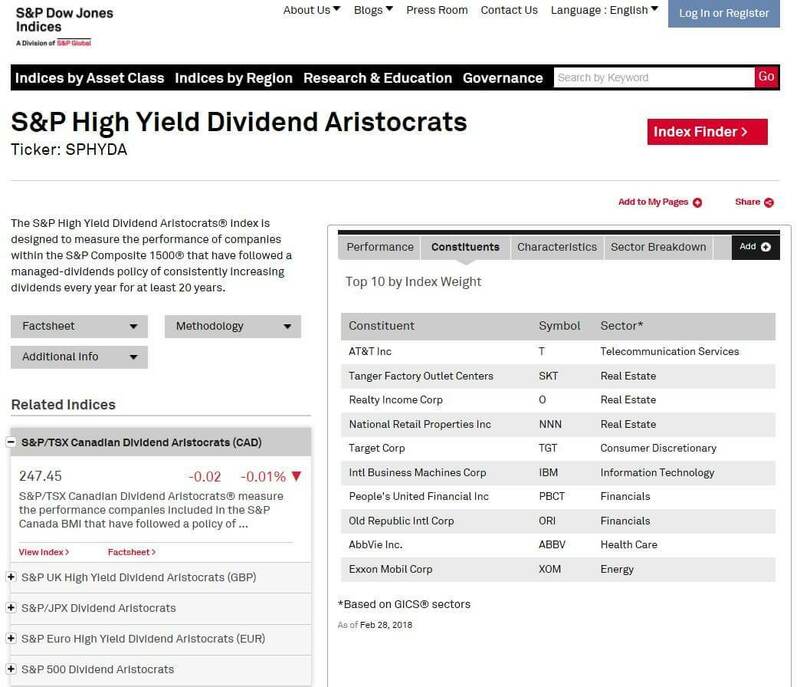 Companies with proven consistency in their dividends are often called ‘dividend aristocrats‘ - they do not skip dividend payments, they either raise their dividends or keep them at a completely stable level. You know now where to find the best dividend paying stocks – but finding the right company to invest in can be rather troublesome. Here are the best dividend stocks of the year that you might want to consider investing in. Best Dividend Stocks to Buy Now: Apple, Inc.
There’s a giant in the room, and its name is Apple. This company has numerous advantages that make it a great investing hub. 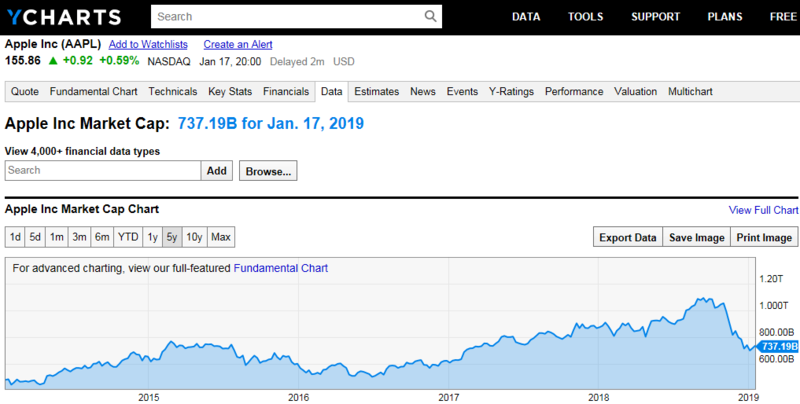 Thanks to its $737 billion market capital (was >$1,000 billion in 2018), Apple is the 3rd largest company in the entire world right now that has been publicly traded – the first one being Microsoft and Amazon. As a result, Apple will provide a giant amount of cash every year. This company has had great marketing strategies over the years. Plus, it is safe to say that the logo of the bitten apple can be instantly recognized by anyone (Apple user or not) without having to accompany it by text. Their products are also renowned for being high-quality – which makes them an attractive choice for the clients. And despite the fact that it has a 20% slip in the market over the past two months, it still manages to keep stock trades that reach $155 per share. If you decide to become a long-term investor, Apple has three advantages for you. First of all, it has a great history that involves strong gains. Even with that 20% slip, it still manages to trade by more than 200% of what it did five years ago ($77.24 in January 2014). Second of all, Apple shows a history of splitting their shares so that the share price can be kept at a manageable rate. This way, you can get a share price that will not drill a hole in your budget. Third and likely the most important, Apple has a policy in which every dividend is paid on a regular basis. No quarter was missed over the past six years and a half. Granted, the yields are fairly low – only floating around 1.65% over the past few years. However, the stocks are growing and the payout is steady – making it one of the best dividend paying stocks that you can go for. Who doesn’t know about McDonald’s? Those golden arches are instantly recognized wherever you go – and even the signature sandwich has snatched a place within the modern economic theory. In terms of stock performance, these last few months of McDonald’s have been on the opposite end of Apple. The veteran of the fast food industry has seen a steady rise, trending since October last year over the other market trends. At this point, McDonald’s currently trades at $181 for each share. Besides the fact that it brings significant returns, McDonald’s also has its own policy of rewarding its shareholders. Over the past 32 quarters, the company has paid 26 dividends – without taking into consideration how the stocks were doing. Plus, considering that McDonald’s has a 2.31% dividend yield, it is placed back in the dividend return field. It is, however, the reliability of those payouts that have attracted shareholders into making an investment. Energy will always be something every human being will need, particularly in this highly technological era. This is why, when looking for the best dividend stocks to buy now, you might want to give Duke Energy Corp a try. Mixing propriety methods with common but efficient metrics, Duke Energy started the year on a stellar way, having a current dividend yield of 4.25%. Plus, considering that this company is the seventh-largest company that provides electric utility services, the returns are nice and steady. There is also great promise for growth. Before it used mostly coal power plants, but now it has taken a more environmentally-friendly path. Now, its focus is on natural gas and clean energy sources. This is why it is safe to say that this company will survive in the future. Although the company yields a slightly riskier dividend plan, Duke Energy has at least managed to keep a balance between income and stability. For this reason, the company is an attractive option to shareholders. It is perfectly alright to have a few high yield stocks included in a portfolio for boosting the total dividend yield. But one should be aware of the fact that there is a risk of floating all too suddenly, so no one should rely on a stable 14-to-20 % annual yield and a consistent related growth in value per share. Companies increasing their dividend annually will pay off in the end by a really high yield, calculated on the basis of the entrance. The longer one holds them and collects yield, the higher the ultimate payoff. 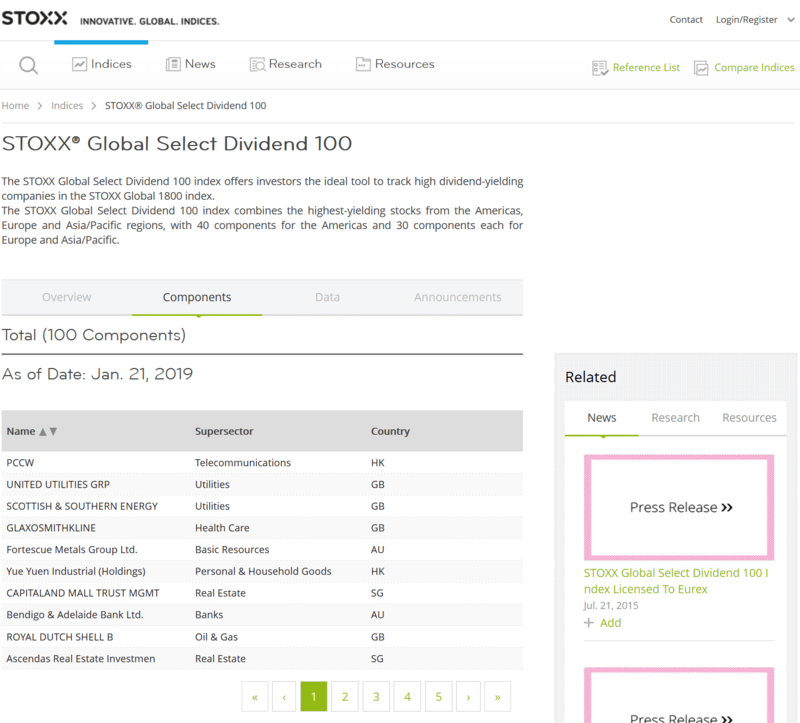 or the STOXX Global Select Dividend 100. A very comfortable way to scan an index is just getting a list of the included positions and buying the best stocks out of it. There are many ways to invest directly in an index, for example by means of ETFs. An ETF, short for exchange traded fund, deals with the matter of diversification and contains the best dividend stocks the index can provide and meeting the requirements. If there‘s for example the requirement of a 20-year consistent history of dividend payments, one may be sure, that the index will only contain stocks meeting those demands, thanks to an at least annual re-balancing of the assets. 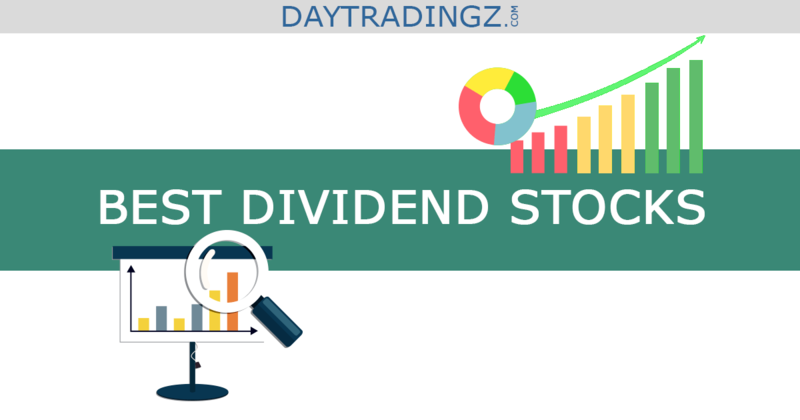 Dividend investment is still a good option for growing capital and earning serious money at the stock market – especially for investors content with long-term schemes like pension plans etc., in short, people who don‘t really want to go into trading. So, which share gives the highest dividend? What holds the most promise for the future, so that you can enjoy some nice retirement days? Regardless of the company that you go for, you need to do your research – and ensure that it has potential for thriving in the future. Make sure to use the best stock screener while evaluating the best dividend you want to buy. Also, please be aware of the fact, that this article is not investment advice or a recommendation to buy anything.